No Heat? Might Need a Tune-Up! Being able to identify trouble with your heating system before it becomes a significant repair issue, that can not only help to save you money in costly emergency repairs. It can help to extend the overall life of your heating system. The best way to be able to do this, you need to understand exactly what key signs to look for so you can get a HVAC technician at your home as soon as possible. Here are the top 3 signs that your heating unit needs a tune-up. When you notice more dust particles all over your home, that is a clear indication that the air filter is clogged and it is no longer effectively removing dirt particles from the air before treated air is sent through the air vents. Not only will replacing the air filter and calling your HVAC technician to tune-up the system improve the air quality in the home, it will reduce the strain being put on your heating system. Those moving parts have to work harder to push clean air through the filter, causing them to wear and break more easily. While it is perfectly normal for the heating system to make some sounds during operation, if you notice loud noises that seem out of place, it could be an indication something is wrong inside the heating system. Check first to make sure that the air handler panels are simply not loose, then pay close attention to where the noise is coming from. The sooner you have a local repair company at the home the better. If a belt has broken or is about to break, this is a minor repair. If the bearings or belt has broken, the system is running dangerously close to seizing. When the home is taking longer to reach the set temperature or cool air is coming from the air vents, this could be an indication that something is wrong with the air handler. Check first to make certain the thermostat is set to heat, and not fan or cool by mistake. Then call your heating repair company so they can check all the moving parts and make certain that the problem is not serious. 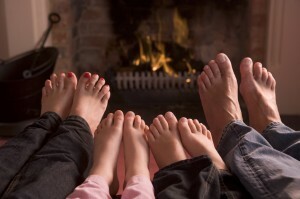 The sooner a technician is at your home, the less chance you have seizing up the heating system. 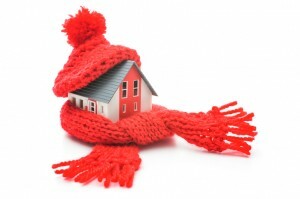 Is the heater in your Cedar Falls area home not working quite like it used to? Call Dalton Plumbing, Heating, & Cooling at (319) 266-3513 for a professional tuneup!